Your favorite Political figure in a Chia! From the First Lady to U.S. Senator to The Secretary of State Hillary Rodham Clinton is considered one of the most influential women of our time. She has broth attention to causes that she is passionate about, including advocating the rights of children worldwide and changing the status of women in American society. 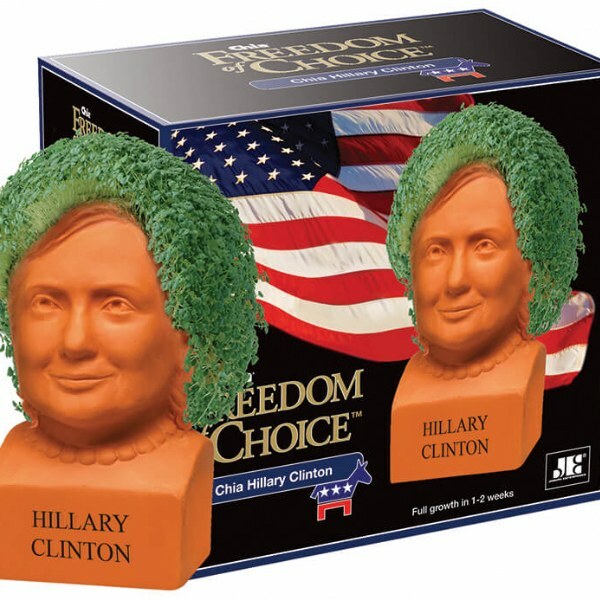 The base of Chia Hillary is inscribed with a sampling of her classic wisdon "Diplomacy in Action", and "Securing Americas Future"
The day after I received this, all of my emails disappeared. Terrible product, do not buy! 371 people found this helpful. Was this review helpful?